It is with deep concern we learn about the arrest of our fellow student leader Omar al-Kiswani, president of the student council at Birzeit University. Omar’s arrest has captivated headlines around the world including viral online video footage of his alleged arrest by a group of unidentified men. We are alarmed as student representatives at Vrije Universiteit Brussel (VUB); an institution which stands for critical thinking and free inquiry. The VUB International Student Platform (ISP) and the VUB Student Council, wish to call on the relevant stakeholders and authorities responsible to consider the fundamentals of academic freedom and basic human rights. We ask for more thorough investigation into the specificity of this case by the international community. We believe that the university should be a free space for academic exchanges, freedom of expression and a breeding ground for future leaders. Any attempt to intrude a university under the violations witnessed should worry the global community and those responsible stakeholders and authorities responsible for his arrest. As famously said by one of the world greatest thinkers and social justice advocates, Martin Luther King Jr.: “Injustice anywhere is a threat to justice everywhere. We are caught in an inescapable network of mutuality, tied in a single garment of destiny. Whatever affects one directly, affects all indirectly.” We hope to see this case getting the appropriate attention so that all student leaders around the world can feel safe in carrying out their representation tasks. 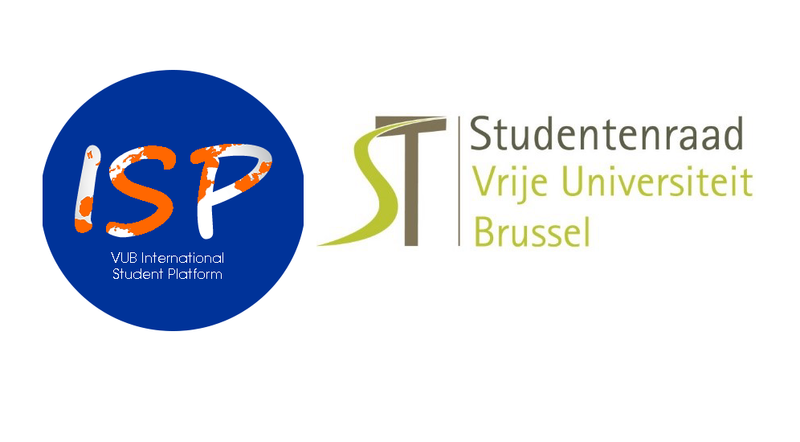 The VUB International Student Platform (ISP) and the VUB Student Council logos. To download the statement please click here.